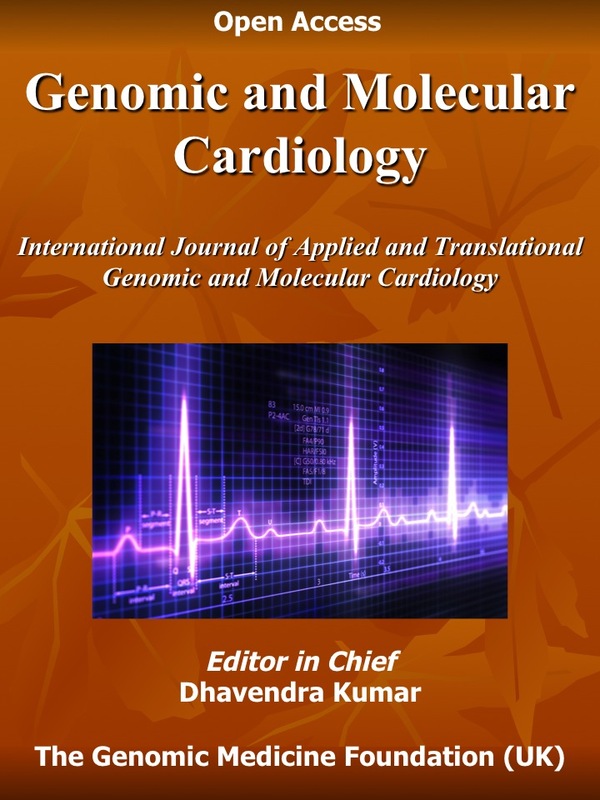 The GMC journal encourages original OMICS related cardiovascular research (proteomics, transcriptomics, metabolomics, functional genomics and systomics etc. ), molecular basis of the clinical cardiology practice and new therapeutic advances including clinical trials in the burgeoning field of pharmacogenomics and personalized/ stratified precision medicine related to cardiovascular medicine and surgery. The journal also features current and comprehensive reviews in the areas of recent advances in cardiovascular development, Mendelian cardiovascular disorders, polygenic/ multifactorial complex diseases (hypertension and ischemic heart disease etc. ), new diagnostic and therapeutic progress, and controversies in molecular cardiovascular medicine and surgery. A dedicated news section summarizes the new developments highlighting articles and reports likely to impact the management of cardiovascular disorders. Other features include clinical case reports and studies, book reviews, and letters to the editor. Inherited arrhythmias- Long QT Syndrome (LQTS); Short QT Syndrome, Brugada syndrome, Catecholaminergic polymorphic ventricular tachycardia (CPVT) and Early Repolarisation syndrome. Professor Madhu Khullar, Department of Experimental Medicine and Biotechnology, Postgraduate Institute of Medical Education & Research, Chandigarh, India. 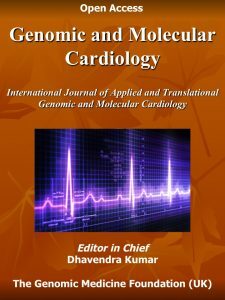 Manuscripts of original research papers, review articles, commentaries and opinions and conference reports are invited for publication in Genomic and Molecular Cardiology. All manuscripts should be submitted online as an email attachment to JournalGMC@genomicmedicine.org. Only commonly used word processing software should be used for example Microsoft Word, Adobe, Rich Text etc. All manuscripts should follow the usual format and include: the title, authors, institute affiliations, name/address of the corresponding author, selection of search engine key words (not more than 10), name/ address of relevant ethical approval authority, declaration on conflict of interest, statement on commercial/ financial benefits and copyright authorization for any illustrations, tables or part of the text included in the manuscript. References should be cited in the text with author and year; use suffix et al for more than 2 authors in the reference cited. All references should be listed in alphabetical order. Name of the soft ware reference manager should be indicated in the manuscript. All accepted manuscripts are published online subject to copyright agreement with the publisher and payment of open access charge, advised with the copyright instructions. The open-access may be waived on the recommendation of the editor in chief. The open access tariff is available on request, however the specific amount will be advised on acceptance of the manuscript. All open access paid published material will become globally accessible. However, an individual reader, organization or Institution may access the non-paid publication subject to a small downloading fee advised at the time of consumer registration. ‘Genomic and Molecular Cardiology’ is published by The Genomic Medicine Foundation (UK) Ltd, a not-for-profit company registered in England and Wales (Registered Number 8749919). The publisher holds all legal rights and acquires all financial or any other benefits of any published material in the journal. For all enquiries and information please visit www.genomicmedicine.org or contact direct the Editor in Chief (JournalGMC@genomicmedicine.org).